Ronen's Opening Survey: Caro-Kann Defense: Fantasy variation (5 part series). B12: Caro-Kann: Tartakower (fantasy 3.f3) variation . We all know the classical variation of the Caro-Kann, with 3.Nc3 after 1.e4 c6 2.d4 d5, or the modern variation with 3.Nd2, the exchange variation with 3.exd5, and the advance variation with 3.e5, but the fantasy variation with 3.f3 has gained popularity in the last 2-3 years, since when GM Nepomniachtchi used it in some important games that allowed the young Russian talent to win the European Individual Chess Championship in 2010. White fights to keep his central pawns even at the cost of weakening his king, as most of the times his idea will be to caste queen-side. The likes of Ivanchuk, Timofeev, Judit Polgar and Jobava are used to play this variation. The line is mainly considered be aggressive, with play in the center and attack against black's king. GM Ronen Indiana-Jones Har-Zvi, in his 5-video series, takes us through the labyrinth of this interesting variation of the super-famous Caro-Kann Defense. Ronen's Opening Survey: Caro-Kann Defense: Fantasy variation (5 part series). 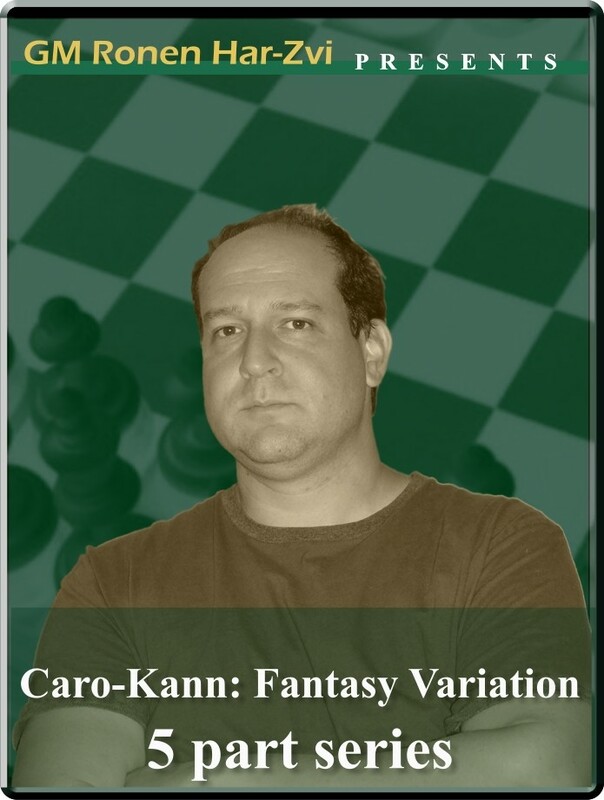 B12: Caro-Kann: Tartakower (fantasy 3.f3) variation . We all know the classical variation of the Caro-Kann, with 3.Nc3 after 1.e4 c6 2.d4 d5, or the modern variation with 3.Nd2, the exchange variation with 3.exd5, and the advance variation with 3.e5, but the fantasy variation with 3.f3 has gained popularity in the last 2-3 years, since when GM Nepomniachtchi used it in some important games that allowed the young Russian talent to win the European Individual Chess Championship in 2010. White fights to keep his central pawns even at the cost of weakening his king, as most of the times his idea will be to caste queen-side. The likes of Ivanchuk, Timofeev, Judit Polgar and Jobava are used to play this variation. The line is mainly considered be aggressive, with play in the center and attack against black's king. GM Ronen Indiana-Jones Har-Zvi, in his 5-video series, takes us through the labyrinth of this interesting variation of the super-famous Caro-Kann Defense.